When one deals with the history of Kilistra, one encounters different statements and interpretations. 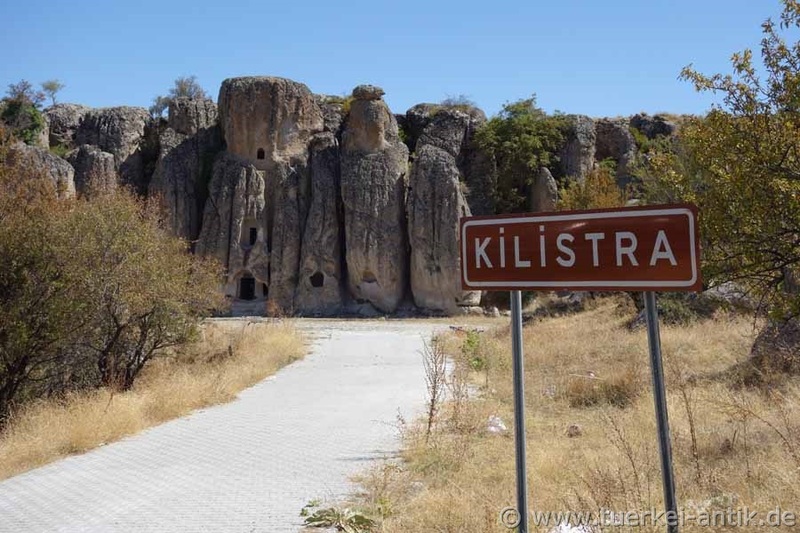 The descriptions of the ancient settlements of Kilistra and Lystra are also interwoven, although the villages are 17 km apart. The same applies to the ancient road via which the apostle Paulus visited Lystra and/or Kilistra. Some sources date the street as the "Royal Road" built by the Persian king Darius in the 5th century BC, other sources see in this street the Roman "Via Sebaste", which was commissioned by the emperor Augustus. This military road led from the Perge at the Mediterranean coast over the Taurus to Comama, further past Burdur Gölü to Antioch in Pisidia, then to Iconium (Konya) and from there to Lystra and Derbe probably back to the Mediterranean coast. It may be that the Romans used parts of the Persian royal road to build the Via Sebaste. It is proven that the apostles Paul and Barnabas came twice to Perge on their first mission journey (Acts 13:13-14 and 14:25) and from there went further north (Antioch in Pisidia) or east (Iconium). It is understandable that they used the Via Sebaste for their journey. Kilistra was most probably founded in the Hellenistic period, in the 2nd century BC. 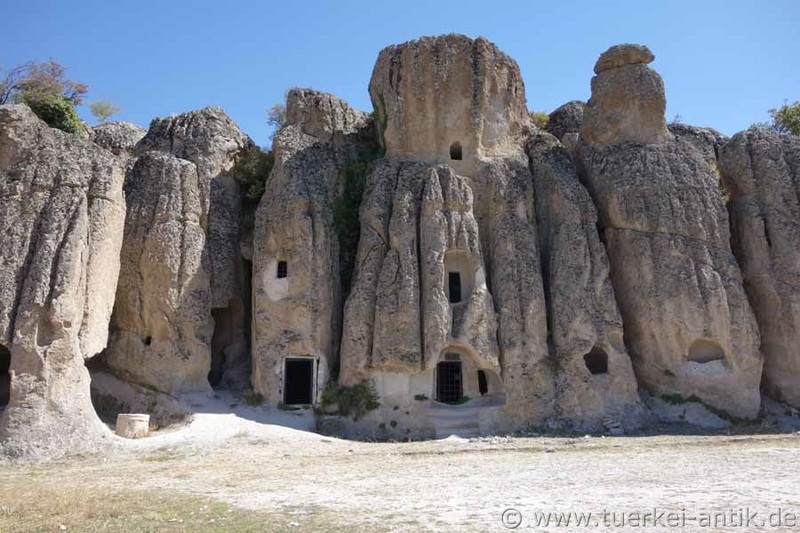 It lies within the boundaries of the present-day village of Gokyurt, 17 km southeast of ancient Lystra - today near the village of Hatunsaray. Evidence suggests that the soft tuff led to Kilistra serving as a refuge for the inhabitants of Lystra. Therefore, the names of both sites are closely linked. 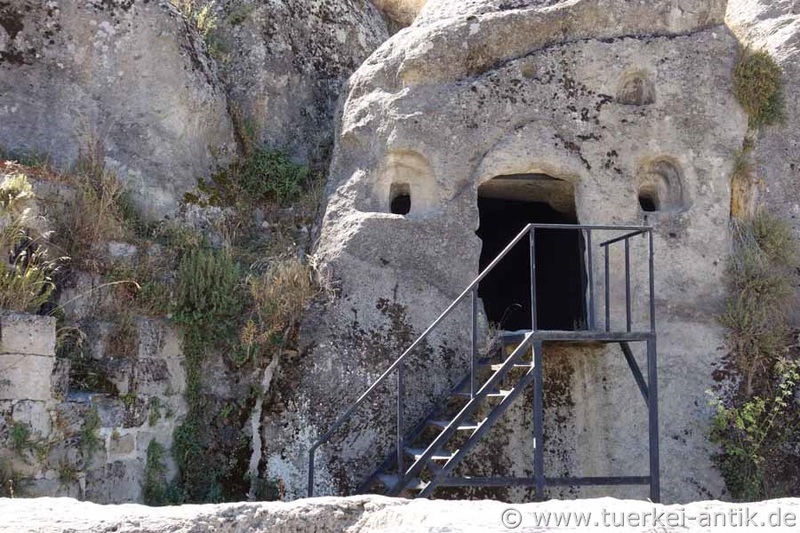 It is considered certain that there is an underground town beneath the hill on which the present village of Gokyurt was built. Lystra itself received the title of a Roman colonia (Colonia Iulia Felix Gemina Lystra) under Augustus and was assigned to the province of Galatia. Here the apostle Paul preached the gospel together with Barnabas during his first missionary journey in 48 A.D., after both had fled from Ikonion. Around the year 370 the city came to the province of Lycaonia. Ten years later, the first bishops can be traced. The bishop of Lystra also took part in the Council of Chalkedon in 451. Ein epitaph from Roman times, skilfully used by a modern villager as the threshold of a house, confirms the old name of the settlement. The history of the region dates back to the Bronze Age. Evidence of this is the Neolithic settlement of Çatalhöyük, 45 km southeast of Konya, dating from between 7500 and 5700 BC and its heyday around 7000 BC. Traces of settlement in Kilistra point to a Hellenistic and Roman period (2nd century BC - 3rd century BC) of settlement. 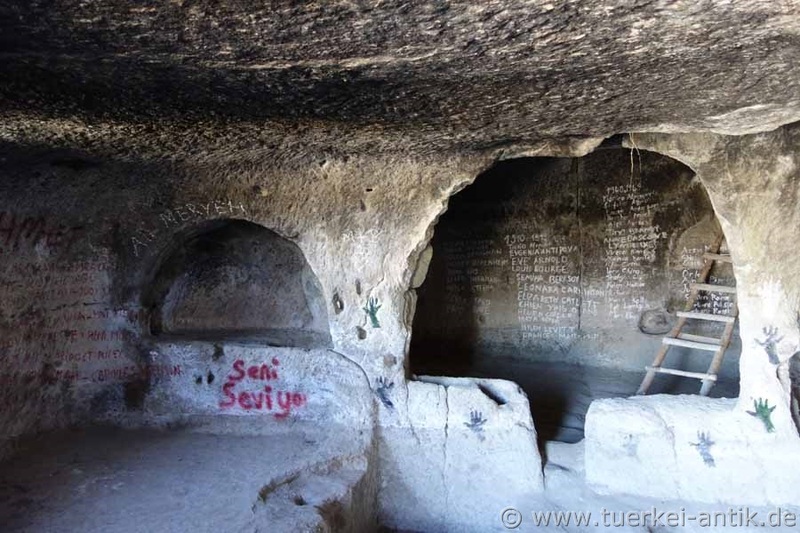 The people who had adopted Christianity in the early Roman period retreated before the persecution by pagan zealots and Roman soldiers to the mountainous area south of Konya, also to the cave dwellings and churches in Kilistra. 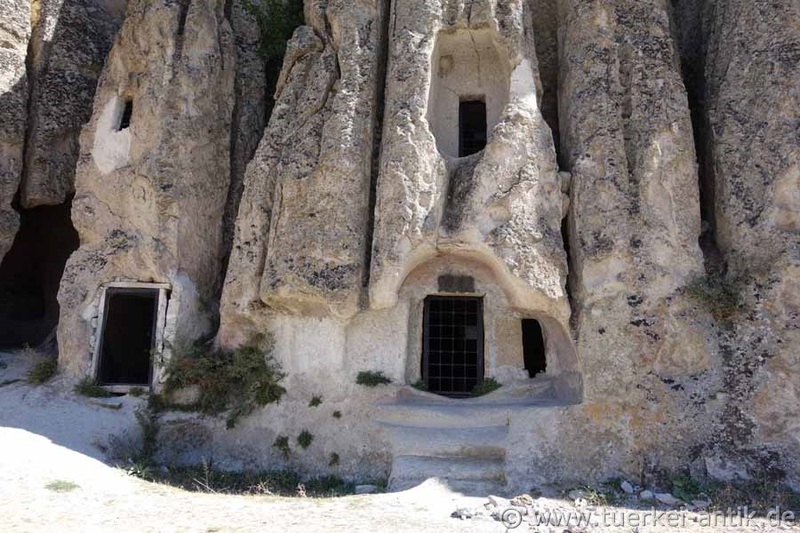 In the Byzantine period, the cave dwellings were extended, interconnected and merged into underground settlements. 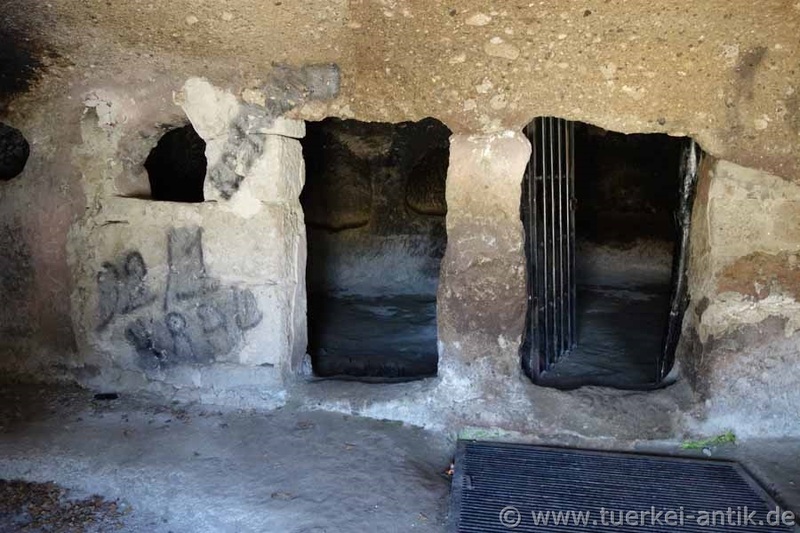 As we know such underground cities from Cappadocia, they were not visible from the outside. The builders were also masters of camouflage. Even chimney openings were so well camouflaged that they could only be recognized as such from the outside in the immediate vicinity. The upper floors were mainly furnished as living rooms and bedrooms, but also housed a wine press, churches and a monastery complex. Pets were also kept underground. On the lower floors there were cisterns as well as meeting and storage rooms.